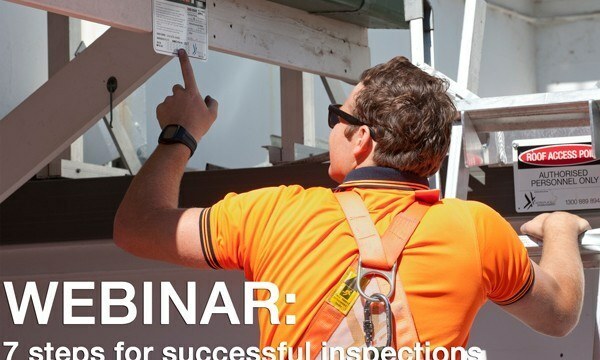 There are 7 steps to turn height safety inspections from a compliance requirement into something that helps you do your job. What needs to be inspected, how often, and to which standards? What should I ask of inspectors? How should I brief inspectors? What information should inspectors provide? What next? How can I use the inspection information to create action plans? During this very focused 30-minute webinar, Julian will detail what needs to be done while Workplace Access & Safety’s Carl Sachs will explain the practical steps that keep it simple and manageable. If you have more questions to add to the seven you can submit your question when you register below. The webinar will run from 10.00 to 10.30 am on 2nd September and there’s no cost to join in. The law demands your inspections are done by a “competent person”. But how can you assess that competence? How often should I inspect my height safety equipment? 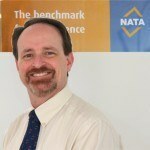 Mr Julian Wilson is the Inspection Sector Manager at NATA. 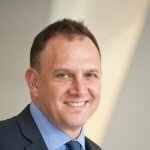 He holds a Bachelor of Science Technology degree in Metallurgy from the University of New South Wales (1990), as well as degrees in arts, management and economics. Since April 2001 Mr Wilson has managed NATA’s Inspection Accreditation Program. He has been involved in bilateral evaluations of other inspection accreditation bodies using ISO/IEC 17011 and is an APLAC Evaluator for inspection and mechanical testing. Mr Wilson has represented NATA on a number of Standards committees including those responsible for lifting gear, offshore containers, pressure equipment, overhaul of electrical equipment and non-electrical equipment for hazardous atmospheres and Diesel Engine systems for use in coal mines. He’s also on the Board of AICIP and the WTIA Q&C Board, as well as the ANBCC Board. Carl Sachs is the managing director of fall prevention company, Workplace Access & Safety, and a director of the Working At Height Association. A member of Standards Australia committee for AS/NZS 1891 (fall arrest systems and devices), AS/NZS 5532 (anchor points) and AS 1657, Mr Sachs was recently involved in drafting the recently released Standards.